In just three months on the job, newly-appointed City Manager Bryan Bradford has faced some significant challenges at the helm of Garland’s local government. Through various forms of crisis, he and the dedicated City staff and elected officials serving alongside him have maintained the highest level of professionalism and done much to protect the reputation of the city. Perhaps an even bigger feat, Bradford and his team have succeeded in building confidence among residents that Garland is truly a place one can be proud to claim as home. 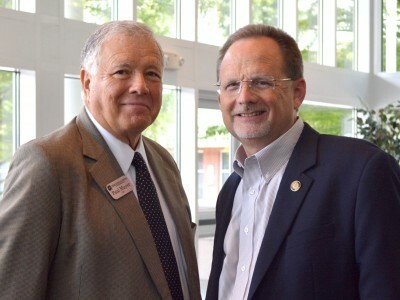 In a presentation to local professionals at the Garland Chamber of Commerce Monthly Luncheon on July 27, 2015, Bradford invited the group to move forward, 15 years forward, as he walked attendees through the purpose and progress of Envision Garland. In March of 2007, the City Council formally adopted Envision Garland, a comprehensive vision for the future of the Garland community through the year 2030. The plan recognizes that growth in both population and tax base will important to the future, acknowledging that such growth presents challenges as only 5% of developable green space is still available in the city. However, with strategic and creative solutions, progress is not only possible, but already well on its way. What does Garland look like in 2030 you may ask? According to Bradford, the community will be home to healthy neighborhoods that preserve the unique character residents have long enjoyed, while providing clean, safe and valuable housing options in every district of the city. Exceptional entertainment options and vibrant retail centers throughout Garland will draw visitors into the community from all around the Metroplex. Residents and visitors alike will find new, functional and environmentally conscious transportation options other than the automobile. Envision Garland incorporates positive growth for the business community too. Well-maintained infrastructure and highly responsive municipal services combined with robust economic development services will bring new life into designated catalyst areas. Add to that a financially stable government system, a highly effective Chamber of Commerce, and competitive tax and utility rates, and Garland will not only be an affordable place to live, but also a desirable place to do business. Yes, we are. A quick look around town will show you, there's a lot to be excited about in Garland. Let’s start with downtown. The construction zone that’s become so familiar to many local business owners is part of the City Center project, which will not only give City Hall a much-needed facelift, but will also add 153 apartment units downtown. These new units, added to the 190 at 5th Street Crossing, help to build the density of population necessary for healthy retail in the downtown area. There’s also been major progress on the areas of Envision Garland related to reviving creative use of green space around town. Consider areas like Heritage Crossing. What used to be a strip of grass next to the DART rail track is now a showcase for pieces of Garland’s history, including the Landmark Museum, the Lyles House and the 1910 Pullman railcar. Adding to these transformative accomplishments, in June of this year, Council approved a thoroughfare plan for 2035, which anticipates Garland’s transportation needs for the next 20 years. The plan includes bicycle lanes, aesthetics and alternatives for the rerouting of Highway 78, making Garland more easily accessible for residents and visitors. Access improvements also have tremendous implications for local business operations, meaning the Economic Development Partnership, with Council’s support, is now able to place renewed emphasis on small business development, as well as recruitment and attraction. According to the structure of the Partnership, the Chamber will work to facilitate growth among businesses already operating in Garland and the City Economic Development Department will pursue interests outside of the community, inviting them to consider all Garland has to offer. Together, the entities of the Partnership will continue to ensure the city is a sustainable and profitable place to do business. Bradford, the City Council and City staff continue to use Envision Garland as a guide to what Garland can be. The team regularly examines neighborhoods for opportunities to enhance and expand rehabilitation programs. Internally, they’re looking at people, processes and technology, understanding that a sustainable, high-quality workforce is integral to future success. And certainly, they’re looking at public perception. Bradford acknowledged that Garland has an image problem. 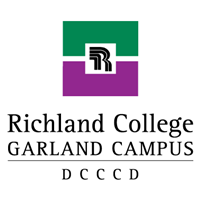 Despite numerous accolades and nationally-recognized rankings, the region’s view of Garland is clouded by assumptions and inaccurate information. Bradford is looking to change all that through an image-focused marketing campaign. After all, when the city is ranked the 6th Hardest Working City, a Top 10 Safest Big City and 2nd Most Affordable City, people ought to know! More than 140 local professionals attended Bradford’s first Chamber presentation as City Manager. With much progress made and much more to come, the Chamber was pleased to be able to offer its members this first-hand insight into the future for the city of Garland. The Chamber extends its gratitude to Bradford and the entire City team for their support of the Chamber’s mission and their dedication and service to the Garland community as a whole.